A leaky pipe can be quite the inconvenience because it causes water to leak in places that it shouldn’t. It also causes expensive water loss. If you notice that the water usage on your water bill has increased, then you may have a leak. It is worth calling an experienced Minneapolis & St. Paul plumber to check your pipes, see if there is a leak, and immediately repair any leaks so that you can stop losing water and so damage to the home or commercial establishment is minimized as much as possible. At Midwest Plumbing and Service, we thoroughly evaluate pipes to identify any and all leaks so that we can repair them. If leaks exist within vanities and cabinets, you may be looking at damage. However, we can minimize that damage by stopping the leak. The same goes for any pipes that may be in your basement, as you may have belongings stored there that should not be exposed to water. At Midwest Plumbing and Service, we like to take care of our customers. Whether it is a simple drip through a faucet or a pipe that has burst in the winter, we do everything to ensure that the lea is fixed and fixed right so that you don’t have to worry about it anymore. Any time you have a leak, it is important that you make the call as soon as possible so that it can be stopped. We can even instruct you on how to turn off the water to that pipe until we get there. That will stop the leak, preventing any further damage to the area affected. We can work with all types of pipe from copper to PVC, replacing pipe sections and using other effective methods to stop the leaks for the long-term. We are also all about using quality cost-effective methods so that the impact on your wallet is a lot less than it would be otherwise. 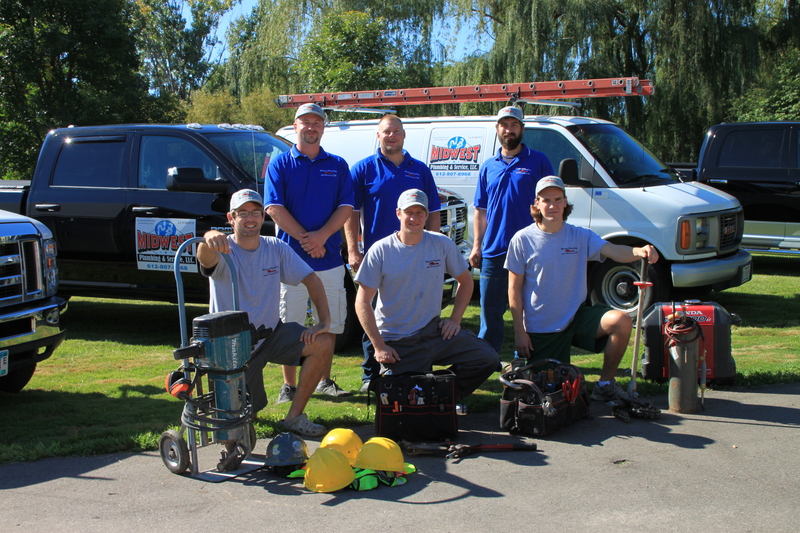 When you call us, you can count on highly experienced plumbers getting the job done right. We ensure that every person who works on your plumbing has the necessary experience. They know how to identify the issue, what parts are needed to fix it, and the appropriate tools to use. We are bonded and insured and we stand by the work we do because we work to your satisfaction. When our Minneapolis & St. Paul plumbers are finished with your repair, you can count on it lasting for the long-term. When you have a leak, it needs to be repaired as soon as possible before it becomes more serious and the water loss increases. The water loss through leaks can become very expensive, so it is important to have the leaks fixed as soon as possible. To learn more about our leak repair services, call us at 612-807-8968 to request a free estimate.